The Saturday Sampler September 24th promises to energize your weekend plans! These ten songs will inspire you to embrace life, live with gusto, and share love. If you’re into indie pop, funk/soul, psych rock, or punk, today’s Sampler has something for everyone. 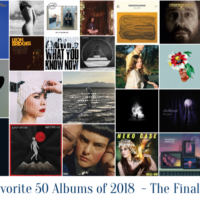 We hope you find a new favourite among these gems! Of course, the London-based quartet took a mini-break shortly thereafter only to return late this spring with new music. The wait was worth it, as the band’s debut EP, Breakfast, has finally been released. Over the past five months, they shared the dazzling “Breakfast” and seismic “The Beat”. Next up is the amazing “Ring Ring”. The Blondie-esque dance-punk vibes that permeate the track will draw you in. It is Laura Hayden’s smoky vocals, however, that will captivate you as she sings about waiting for that one opportunity to come. That one big break that could change our lives. For Anteros, they had one mini-break this summer when they performed on The Other Stage at Glastonbury. With Breakfast, their major break could be on the horizon, and we still hold the belief that this band will exploe. Anteros’ new EP, Breakfast, is out now via Kissability. Get it on iTunes and the label’s store. It was only in the spring when Black Honey released their awesome EP, Headspin, which just blew us away. 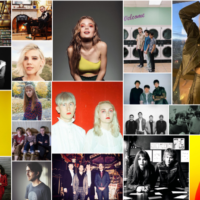 And like a wildfire, the UK four-piece are all the rage in their homeland with radio play on various BBC stations and getting a prime time slot at The Great Escape. With the wind blowing behind them, Black Honey have returned with a new single, “Hello Today”. 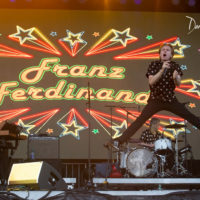 The song feels like its title: the band is reintroducing itself to the world with a fearless, hold nothing back rocker. 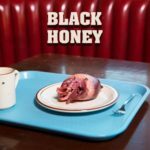 The roaring guitars, the throbbing rhythms, and frontwoman Izzy Baker channeling Debbie Harry make this song the perfect anthem to welcome new fans while making old fans remember just how great Black Honey are. In a word, this song is simply awesome! Black Honey are Izzy Baxter (vocals/guitar), Chris Ostler (guitar), Tommy Taylor (bass), and Tom Dewhurst (drums). 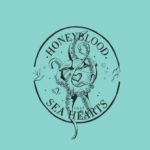 Two years since they released their breakthrough self-titled album, Scottish garage-rock duo Honeyblood are back, and they announced their return with bang. First was the news that their third studio album, Babes Never Die, will be released on November 4 via FatCat Records. Now they share the LP’s second single, “Sea Hearts”. 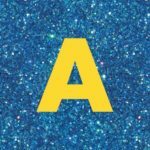 This punk-pop number is catchy and rambunctious, offering a perfect song for early autumn gatherings and house parties. However, “Sea Hearts” is more than just a party song. It is an anthem that celebrates individuality and identity. It is a proclamation for people to explicitly express their freedom, liberation, and spontaneity. The tune might at first sound like one meant for today’s youth, but Stina Tweeddale (vocals/guitar) and Cat Myers (vocals/drums) are directing their message at everyone. Life is short, so live it! 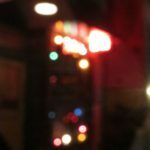 Babes Never Die is available for pre-order at FatCat Records’ online store (there are various bundles). 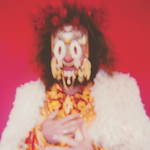 My Morning Jacket frontman Jim James is frustrated by the ongoing violence in the world. As a result, we now have another surprise protest song. “Same Old Lie” (from his upcoming second solo album, Eternally Even) follows My Morning Jacket’s surprise single “Magic Bullet” from earlier this summer. Both songs address the divisive topics facing Americans during this election season. “If you don’t vote it’s on you, not me,” he sings on this track. Unlike the harder-edged “Magic Bullet”, he takes a gentler, soulful approach here. Lyrics like “Gun drawn / faces long / how much killing can be done?” and “can’t build love out of guns, blood, and sorrow” are paired with violin and conga drums for a stunning result. Jim James isn’t merely singing lyrics here. He’s acknowledging there is hope for humanity if we treat each other with loving kindness, regardless of our differences. 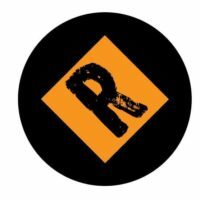 “Same Old Lie” is a call to action that comes just days after their ATO label mates Drive-By Truckers released “What It Means,” a scorcher about racial injustice. Many will remember 2016 as the year of the protest song. But if music can change the world, who better to lead the charge than Jim James and his angelic voice? Eternally Even is due November 4 from ATO Records. It’s available for pre-order from his website, Amazon, and iTunes. Linus Lutti – a Swedish artist who has been a bartender and a therapist – is good at listening to other people. It seems fitting that this talented musician should turn the tables so people can listen to him for a change. And listen you should! Fans of the warm, hazy sound of The War on Drugs will love Little Children’s music. The atmospheric layers on “Chasing the Sun” are accentuated by vibrant but slightly restrained guitar. Lutti’s vocals bear a remarkable resemblance to both Adam Granduciel (The War on Drugs) and also Bruce Springsteen at times. It’s almost like Lutti is teasing you with how much power he could unleash if he wanted. “Chasing the Sun” doesn’t need a flashy guitar solo to grab your attention. No, the slow simmering intensity of this song’s fierce hooks is enough to make your jaw drop. Your first thought will probably be “Wow!” followed by “I need more of this music right now!” Technically the band is Linus joined by a rotating roster of his talented musician friends, including Anna Levander of the band Dolce on this track. Her rich, honeyed vocals blend so beautifully with Lutti’s, so we hope they will collaborate more often. 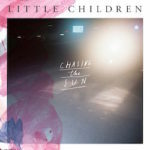 Little Children has a few releases in their discography, the most recent being the 2015 album Traveling Through Darkness. The second full-length effort is expected later this year from Cosmos Music. Until then, you can hear more at Little Children’s Soundcloud page. 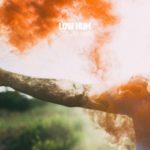 Last month, we were introduced to Collin Desha’s new project, Low Hum. The single, “Sunburns”, was a fuzzed-out, blistering number. If you are familiar with that song and thought it was awesome, you haven’t heard anything yet. His new single, “Strange Love”, is a mind-blowing anthem. The fuzzed-out guitars return, but they are heavier and even more outrageous. The garage-rock vibe is given a slight makeover as Desha adds the perfect amount of psychedelia to give the song a whirling, trippy effect. His stirring and captivating vocals provide the perfect counterpoint, taking us deep into la-la land. In other words, “Strange Love” is an insane, five-minute dream that you won’t wish to awaken from anytime soon. That is, until Desha releases his next song. Daptone Records is a legendary label for one obvious reason: every band on their roster brings the noise, the funk, the magic – basically, everything but the kitchen sink. Take emerging soul/funk supergroup The Olympians for example: this single from their upcoming debut album might just melt your ears. It’s that hot. Heavenly harps, smokin’ horns, and super funky bass are the foundation for this cosmic voyage of instrumental soul. Your guides on this star-studded journey include members of The Dap Kings, Lee Fields & The Expressions, Menahan Street Band, The Budos Band, and The Arcs. It’s fitting that the group’s name is The Olympians, since these musicians possess near-mythical talent. These guys are pros known for their work with legends like Amy Winehouse and Mick Ronson plus Sharon Jones, Charles Bradley, and more. With talent that hot, it’s a miracle the studio didn’t spontaneously combust during the recording sessions. 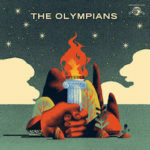 The Olympians is out October 28 from Daptone Records with pre-orders from their Bandcamp page and iTunes. The Olympians are: Toby Pazner (keys), Evan Pazner (drums), Thomas Brenneck (guitar), Dave Guy (trumpet), Michael Leonhart (trumpet), Leon Michels (tenor sax, guitar, bass, keys), Nick Movshon (bass), Neal Sugarman (sax), and Homer Steinweiss (drums). For a band that wasn’t even alive in the groovy 1960s, Spanish indie psych rock trio The Parrots sure do have an authentic stoned surfer sound. We know summer is technically over, and this song isn’t brand-new (the album came out last month) – but it’s a perfect weekend tune. If you like upbeat, jangly riffs that energize you from head to toe, we think you’ll love these guys. “Let’s Do It Again” sounds like it would have been a hit on AM radio back when Jim Morrison and The Doors were in their heyday. The fuzzed-out layers of psychedelic guitar swirl around your ears and hypnotize you within moments. And let’s face it: the term “fuzzy” applies to more than just their sound. This song is all about living live to its fullest, even if you wake up feeling fuzzy the next morning. That spirit of enthusiasm and spirited vitality is irresistible. Would you expect anything less considering they’re from Madrid? These guys are emerging talents who have already made their mark in Europe. Earlier this year they conquered SXSW Festival in Texas, which proves The Parrots are a band to watch. And speaking of Texas…their “Davey Crockett” video with fellow Spanish indie band Hinds is further proof of their charismatic charm. 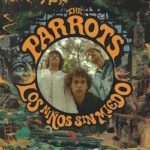 Like their album title (Los Niños Sin Miedo) implies, The Parrots are youthful and fearless – and so much fun. Los Niños Sin Miedo is out now via Heavenly Recordings. The Parrots are: Diego García (vocals, guitar), Alex de Lucas (bass), and Larry Balboa (drums). Despite being new on the electronic scene, Brighton’s Sea Bed have already achieved significant online success with their first two singles, “Moving Ghosts” and “Young”. Stardom awaits Lizzie Massey (vocals/bass/keyboards/programming) and Jim Corbin (guitars/keyboards/programming), as their debut EP, The Art of Living, was released yesterday. 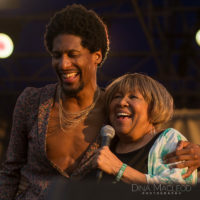 One of the singles from the record is “Geneva”. The song is breathtaking, sharing the haunting soundscapes of Massive Attack and the sizzling drama of CHINAH. The song does differ in one area, however – its startling climax. As Massey’s voice soars into an operatic aria and the music cascades into a dazzling blaze of sound, you’re left with chills down your back. Those twenty seconds are memorable. Sea Bed’s The Art of Living EP is out now via Four Thieves Records. It has been a little while since we’ve heard from Young Romance. 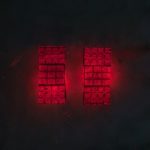 The noise-pop duo from London first caught our attention nearly two years ago with their single “Pale”, and their debut EP, Wild, cemented our fandom. After a year away, Claire Heywood (lead vocals/drums) and Paolo Ruiu (guitars) are finally back with a new single. The duo have long impressed us with their musicianship and solid songwriting. They now have amazed us with their cinematic storytelling brilliance. Their much-anticipated debut album, Another’s Blood, will hopefully offer more of the same. It will be released in November via Banquet Records.